To get to Soksal Bawi from the Seonunsan parking lot, head towards the resevoir. 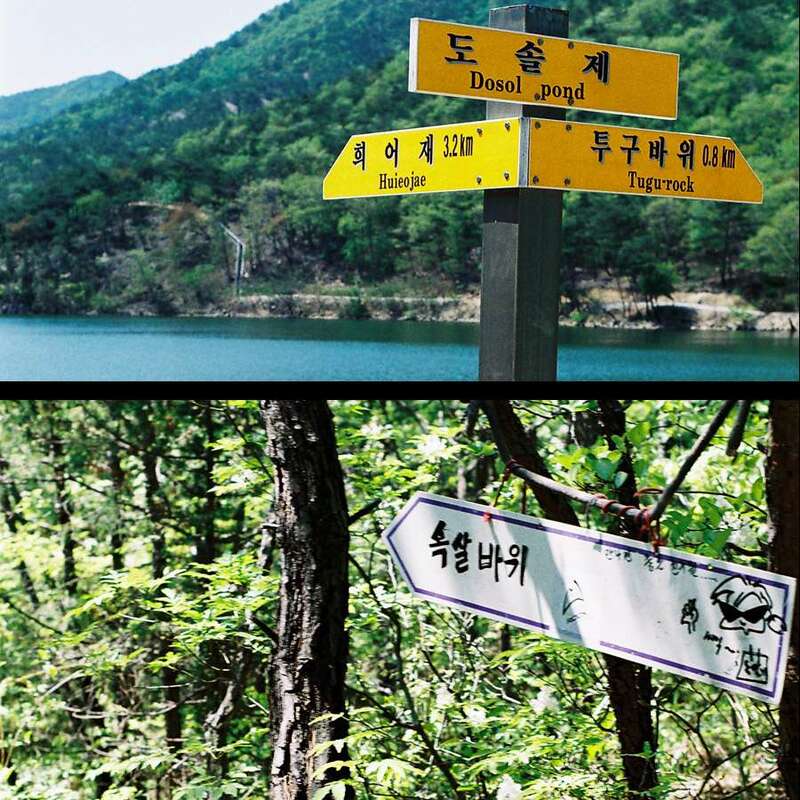 When you get to the resevoir you will see the first sign (shown in picture on top). Go right and walk toward the metal staircase (which you can see in the left portion of the picture. Hike up the stairs and stay right. After about 10 minutes you will see the second sign. Turn left and follow the trail for about 5 minutes to the base of the wall. All times are GMT +9. The time now is 12:01 PM.